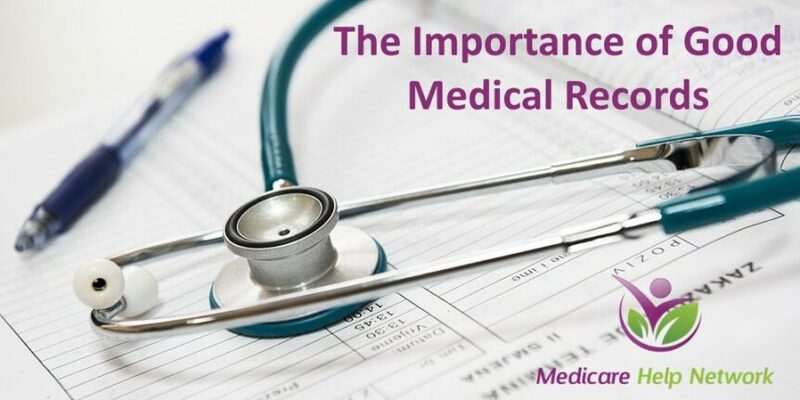 KEEPING YOUR OWN RECORDS OF ANY MEDICAL CARE THAT YOU AND YOUR IMMEDIATE FAMILY HAVE RECEIVED IS THE ONLY WAY TO BE SURE THAT YOUR INSURANCE AND BILLS ARE FREE FROM MISTAKES. IT MAY SEEM UNIMPORTANT NOW, BUT LATER IN LIFE WHEN YOU TRY TO GET LIFE INSURANCE OR GET TREATMENT THAT YOU DESPERATELY NEED, THOSE DETAILS WILL BECOME VERY IMPORTANT. EVERYTHING FROM YOUR ALLERGIES TO YOUR PAYMENT RECORDS WITH MEDICAL FACILITIES CAN HURT YOU IF THEY’RE WRONG IN YOUR REPORT. YOU COULD BE GIVEN IMPROPER TREATMENT OR EVEN DENIED TREATMENT. BY KEEPING YOUR OWN RECORDS, YOU CAN DISPUTE ANYTHING THAT IS FALSE. AN EXAMPLE OF A MISTAKE THAT COULD BE MADE ON YOUR RECORD WOULD BE A DIAGNOSIS ERROR. PERHAPS YOU REQUEST THAT YOUR DOCTOR CHECK A SUSPICIOUS LUMP IN YOUR BREAST. ON THE FIRST VISIT HE MAY SUSPECT THAT IT IS CANCER. MOST PEOPLE WILL GET A SECOND OPINION OR GO FOR A MORE THOROUGH CONCLUSIVE EXAMINATION. IF THE SECOND DOCTOR DECIDES THAT IT IS ONLY A CYST AND HAS IT REMOVED, YOUR PERSONAL RECORDS WOULD SHOW THAT YOU ARE CANCER-FREE. HOWEVER, IF THIS VISIT WAS DOCUMENTED INCORRECTLY, OR NOT AT ALL, YOU MAY HAVE TROUBLE GETTING INSURED AND NOT KNOW WHY. IF YOU HAD A RECORD OF THE SECOND VISIT THAT FOUND THE CYST, THIS SITUATION WOULD BE EASILY DISPUTED, AND YOUR RECORD WOULD BE ACCURATE. SELECTING THE RIGHT HEALTHCARE PLAN THROUGH MEDICARE CAN BE OVERWHELMING AND DOWNRIGHT STRESSFUL. MEDICARE HELP NETWORK IS A NATIONWIDE RESOURCE THAT PROVIDES GUIDANCE AND SUPPORT ABOUT MEDICARE TO SENIORS AT NO COST TO THEM, AND HELPS THEM TO CHOOSE THE MOST SUITABLE INSURANCE PLAN TAILORED TO THEIR SPECIFIC NEEDS AND BUDGET. OUR GOAL IS TO EDUCATE AND EMPOWER OUR CLIENTS TO MAKE THE BEST DECISIONS REGARDING THEIR HEALTHCARE AND CLEAR UP THE CONFUSION OF MEDICARE. AT MEDICARE HELP NETWORK, WE AREN’T PARTIAL TO ANY ONE INSURANCE COMPANY. OUR LOYALTY IS TO OUR CLIENTS AND OUR MISSION IS TO PROVIDE THEM WITH THE BEST HEALTHCARE OPTIONS AT THE VERY LOWEST COST.